The image above shows pecan halves on the left. 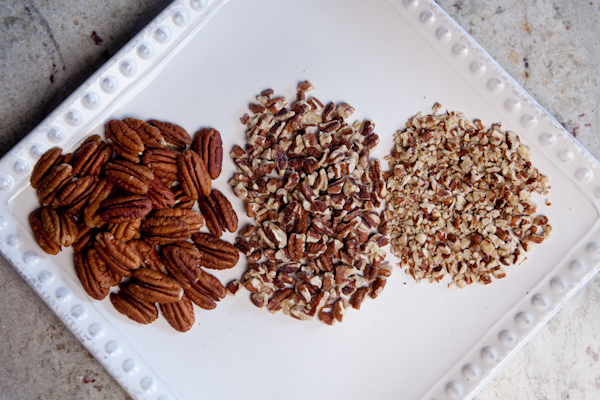 In the center are chopped pecans and on the right are finely chopped pecans. 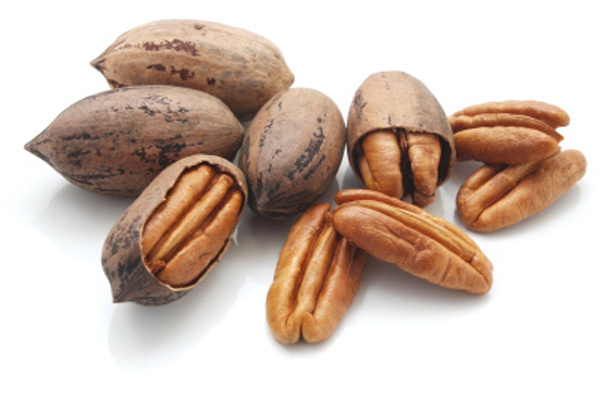 Below is an image of pecans in their shell. Pecans are used in many classic baked goods, such as pecan pie, pralines, spiced pecans, butter pecan ice cream and pecan sandie cookies.